The financial capital of India, the city of dreams, and the mainstay of Indian cinema industry are what best describe Mumbai. The city of skyscrapers has been on the forefront of realty spaces that jut out towards the sky as if defying gravity! The new century has seen a turn of events in all spheres of business. The real-estate sector also has seen interesting and promising changes that are aimed towards delivering luxury and enjoyment, rather than simply catering to the basic needs of human habitation. The residential offerings in Mumbai are likewise rising to new heights of global opulence. On such power-packed project is Wadhwa Promenade. This project is located in Ghatkopar. There are 12 towers in 18.8 acres of plush land here. The podium is open and free as the car parking is reserved in the basement. A grand entrance lobby in each tower sets the tone for exquisite homes that welcome you and your guests. The homes in Wadhwa Promenade Ghatkopar are blissful units in 2 BHK formats. These occupy areas starting from 627 sq. ft. The modern design consists of elegant modular kitchens with water purifier, smart tiled floors, wide balconies, provision for drain pipes for split AC, and video door phones. The campus has gorgeous features for a wonderful lifestyle. 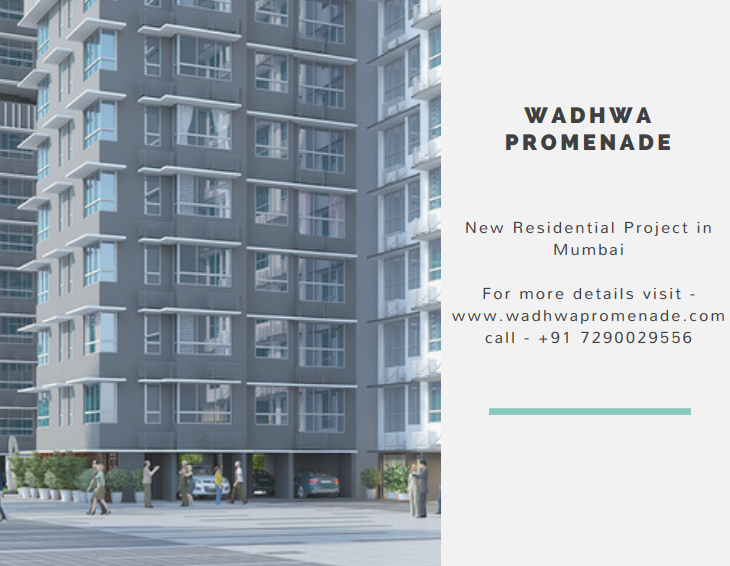 Wadhwa Promenade Mumbai has a club house, play area for kids, swimming pool, gym, meditation centre, multipurpose hall, and open parks and spaces. The campus is totally secure and serene. The location is wonderful as it enjoys proximity to a number of transport corridors. The JVLR is close by, so is the Eastern Express Highway. SCLR, International Airport, and BKC are well-connected. Even the domestic airport is close at hand. Reasons enough for a premium tag to the property, don’t you agree? This project comes with a price tag for each unit in the range of Rs. 1.73 crores and Rs. 1.81 crores. It is a harmonious zone catering to the needs of those who want to enjoy tranquillity. With power back-up, water supply, eco-friendly systems, and security, this is an urban oasis indeed!